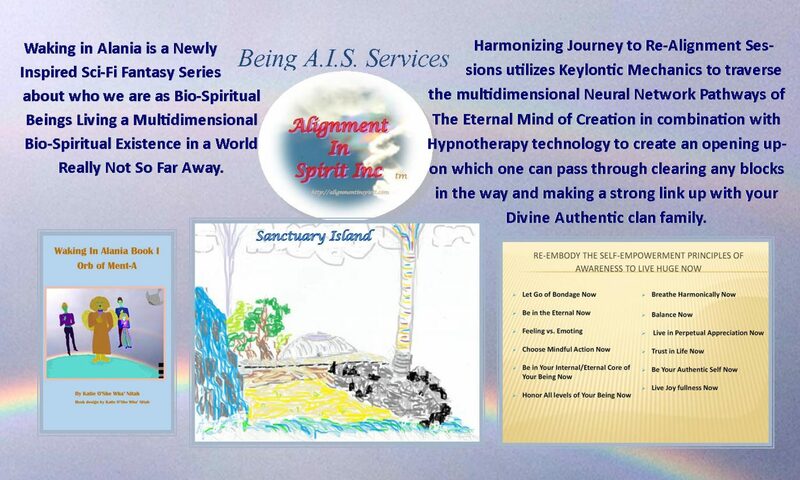 ***If you enjoy Waking in Alania Series and Self-Empowerment Principles of Awareness to Live Huge Now then please become a Member of Alignment In Spirit website to be able to comment on posts, get notification of activities and up to date blog posts. Follow instructions to Register and be aware your email to verify registration may go into the Spam or Other Folder once Registration is finished then Friend Katie O’She Wha Nitah. Right now when your Register you will receive a free Ebook Copy of Self-Empowerment Principles of Awareness Handbook. Taking New Thought to The Next Logical Step with Self-Empowerment Principles of Awareness To Live Huge Now. Previous PostPrevious Please check out Waking in Alania and The New SEPA Handbook reduced prices in Taking New Thought to the Next Logical Step.